If you are attending university, you will probably enjoy the social aspect of this new challenge in your life. It can be great fun to spend time in the student union bar and socialise with your new friends. It is common for young people to be offered illegal drugs, usually out at clubs and such, making it very tempting to experiment with them. One of the substances that students are likely to come across is cocaine. This is a very powerful stimulant and can be very dangerous for both first-time users and seasoned addicts. Interesting Fact: Pure cocaine was first extracted from the leaves of the coca plant in 1859 and was marketed in a fortified wine in France as early as 1863. Cocaine works by increasing the level of dopamine in the brain, giving a very pleasurable experience to the user. In a pure form, cocaine comes in a white powder. Drug dealers will usually mix it with other compounds so that they can make more money. It is common for the drug to be mixed with flour or cornstarch but other harmful substances are also sometimes used which can cause even more health problems – this is referred to as cutting the drug. Students who are used to cocaine that has been mixed with other substances can easily overdose if they come across the pure stuff. Crack is a type of freebase cocaine that has been designed to give an instant hit. It is known for being one of the most addictive drugs on the planet as the effects are so immediate and intense. Unlike the high of regular cocaine, which can last for hours, the high of crack only lasts a few minutes. This means having to keep taking crack in order to stay high. The comedown from this drug can be very severe, so users have a real incentive to stay high for as long as they can. This means that it can be a very expensive habit, as well as completely destroying the person’s life. Cocaine can be snorted, smoked, or injected. Cocaine can be a very ‘pleasurable’ drug, which is why people are so easily hooked. The person can experience euphoria and a feeling that everything is good in the world. It can also make them feel extremely confident and make them feel that they are able to deal with anything. The individual is likely to feel full of energy, often going without sleep for long periods of time. Interesting Fact: Renowned Psychologist Sigmund Freud recommended cocaine as a useful medicine to his patients but suffered from addiction to the powerful drug. Being easy to become addicted to – this is particularly true for crack cocaine. Being damaging to organs in the body –many people have died from heart attacks due to cocaine use. Having seizures – this could even happen with first time users. Becoming extremely arrogant and even psychotic. Leading to rapid weight loss. 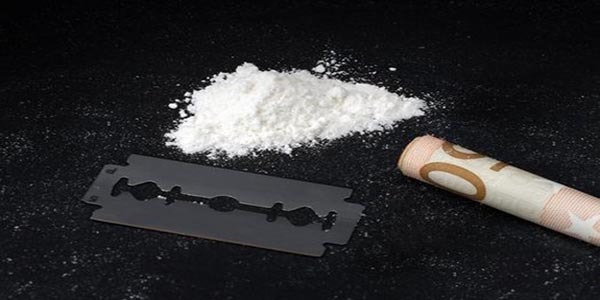 University students who take cocaine will struggle to complete their course. Cocaine addiction will usually mean being caught in a downward spiral. It is important to get help to break away from this addiction as soon as possible – the longer they wait, the more they will lose. There are fellowship groups that can help people with this type of problem. In many cases, the best option will be to spend time in rehab. Read more about children and students with addictions in our student addiction guide.